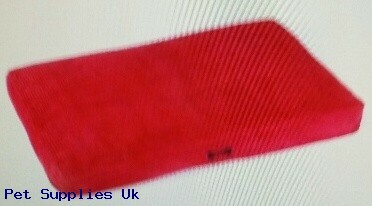 The Snug and Cosy Red Cord Rectangle Cushion Dog bed is a sophisticated bed designed with comfort in mind. The cushion is lovely quality and hand filled in the UK. Cushion is machine washable and available in three sizes. Please note:Images shown are for illustrative purposes only. The different sizes are sold individually.